Lenovo has officially launched its Phab 2 phablet in India. This is a trimmed down version of the Phab 2 Plus which is already available in the country. Released way back in June this year, the Phab 2 comes with a massive 6.4-inch display. 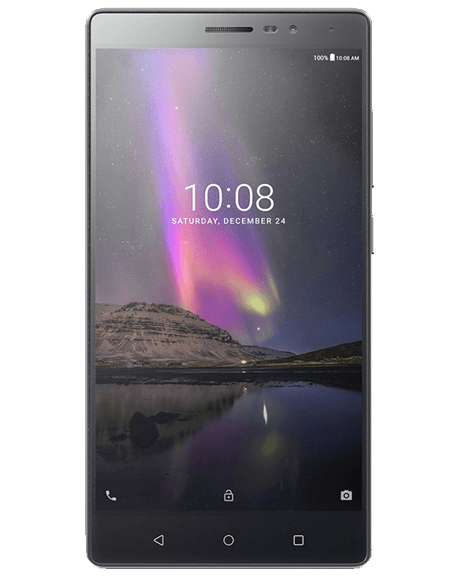 While the Lenovo Phab 2 Plus is exclusively sold through Amazon.in for Rs. 14,999, the Phab 2 will be available for purchase from Flipkart at Rs. 11,999. With the brand new device, Lenovo is continuing its spree of launching new smartphones. The recently announced Lenovo K6 Power just went on sale today itself. The Phab 2 is essentially a mid range device with decent hardware. The phablet is aimed to cater those who crave for large screen size within a moderate price range. Read on to know about specification, price and availability details of the phone. The Lenovo Phab 2 comes with a big 6.4-inch IPS display. Unlike the Phab 2 Plus, this is an HD 720p panel instead of a Full HD 1080p one. The large screen does not come with any specified screen protection. Moving on to inside, a quad-core MediaTek MT 8735 chipset powers up the large device. This features four Cortex A53 cores running at 1.3 GHz each. A dual core Mali T 720 GPU looks after the graphics performance. Coming to memory, the Phab 2 sports 3 GB of RAM combined with 32 GB of internal memory. There is also the provision of a micro SD card via the hybrid SIM tray. The phablet runs Android 6.0.1 Marshmallow with some minor modifications. With all these, you can expect pretty decent performance from the phone. Talking about the camera hardware, the Phab 2 loses out the dual lens of the Phab 2 Plus. Instead, it comes with a single 13 MP unit with f/2.0 aperture size. The primary snapper supports PDAF (Phase Detection Auto Focus) and can shoot Full HD videos at 30 fps. The secondary camera is a 5 MP shooter. The sound performance of the smartphone is expected to be top notch, thanks to the inbuilt Dolby audio chip. The phablet comes with dual SIM slots and supports 4G VoLTE out of the box. Calling should be a breeze in the latest smartphone due to its triple array microphones. Other usual connectivity options include single-band Wi-Fi, Bluetooth v4.0, GPS, FM Radio, etc. The phone comes with the standard micro USB 2.0 port. Speaking of power backup, a 4050mAh battery juices up the Lenovo Phab 2. This indicates that the device would easily last for a day or more under normal usage even with the humongous display. Unfortunately, there is no fingerprint sensor in the latest smartphone. Finally, coming to the price and availability, the Lenovo Phab 2 comes with a price tag of Rs. 11,999 and will go on sale through Flipkart from December 9, 2016. Stay tuned to us for the unboxing and review of the newly launched phablet.